Free download Truck Racing game for PC. It is very amazing racing game with trucks. 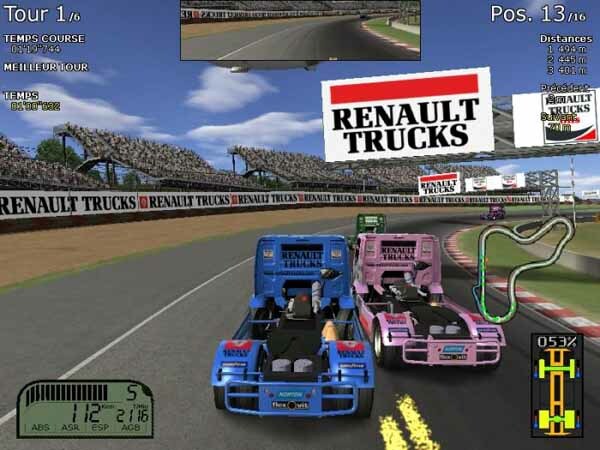 Truck Racing game is developed by Renault Trucks. This is free game for PC to drive a truck for racing. Truck Racing game will entertain you will with truck driving by selecting your truck. 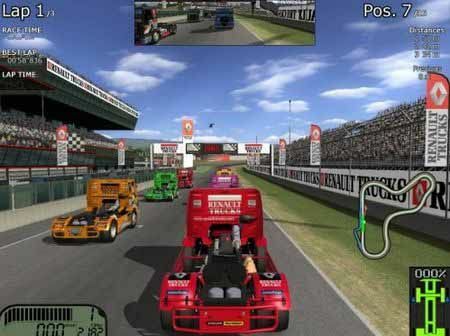 Truck Racing PC game can download from this website. Use the download link given below to download this game. After downloading the game, extract the zip folder and open the folder that is extracted. You will see a setup file. Run this file and start this game to install. The installation process will take some time. You must wait until it will complete the installation. During the installation, you may not see the progress bar so just wait. It will install and you are ready to play this game. At the end of installation process, you are asked either to launch the game or not. You can mark a check or uncheck it accordingly. When the setup launch, it will open a Registration window, just ignore it and press Quit button. After this, run the from your desktop. The game will be started instantly. From the main menu, you can select Race option to play the truck racing game. Now you are asked to create new profile, so enter your name and start it. To proceed to next, the game will show you “Accept” button. There are only two trucks to select. You can select red colored or yellow color truck. Moreover, you can change the skin of these trucks. After that, you are ready to start the race with your truck. There are many location for race and you can select any of them. When you see the racing place, press Esc button for options and click on Race button at the left side. The game will be started.